By using high-temperature ceramic welding process, the combustible gas and oxygen or air is input into the combustion chamber of welding gun, and ignition system will ignite the gas and create a high-speed air flow, at the same time the ceramic welding repair machine inputs a ceramic filler material to this high-speed expanding airflow, so that filler particles are sprayed on the refractory wall with acceleration. (1) Due to the high temperature of the ceramic filler material injected by a high-temperature ceramic welding gun, the filler material can be bonded firmly with the damaged part of refractory. 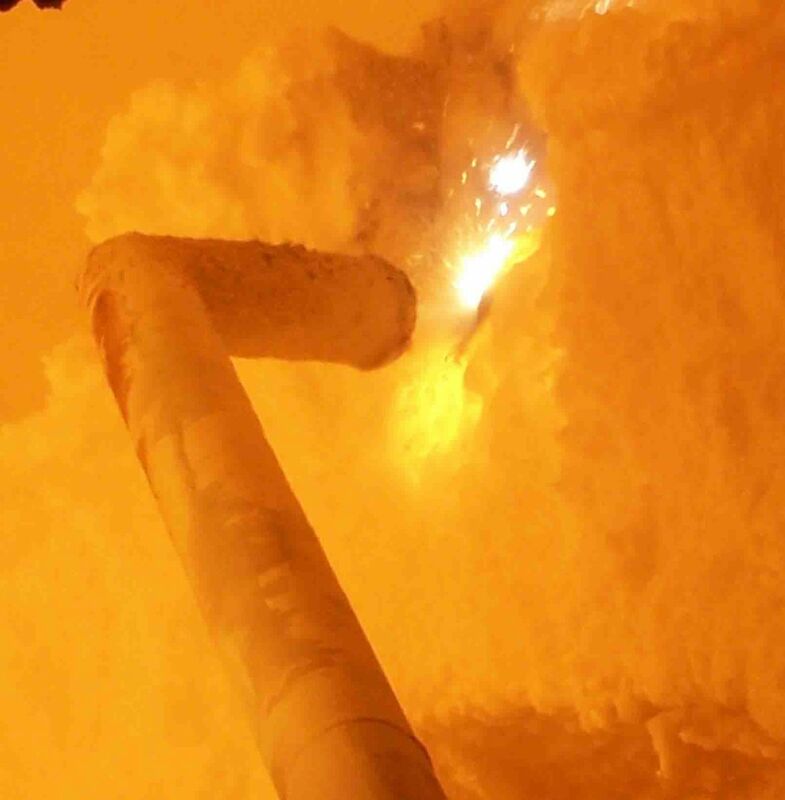 (2) Thanks to the super high speed of the ceramic welding filler material sprayed by a high-temperature ceramic welding gun, high speed, which can reach a supersonic state, the filler material penetrate into the refractory surface by 2 mm. (3) With the high-temperature ceramic weld gun used for soldering on refractory wall, the compressive stress will be formed on the surface of the welding combination, filler material can be melted and bonded firmly with bricks and will never fall off . (4) Bonding strength between the high-temperature ceramic welding filler and refractory brick surface can be more than 60 Mpa.